The Night Speaks....are you it's voice? It's very Dungeons and Dragons', a bit 'Angel Beats'ish, but totally original (the above are probably the most similar I can get). There are four narrators, each written by a separate person. It invloves a soldier, a pauper, a wealthy businesswoman and a drug addict. The story begins with each protagonist dead. That's all I can tell you really! I'm afraid I may have even given too much! Anyway, watch this space! I feel the need to write in massive red letters!!! Anyhoo, Back to the actual news. I haven't been around much lately, and I'm sorry about that. I have been busy however... The problem is, I'm working on several projects, and whichever one I decide to use for EPQ for college, I probably won't upload. Or A bunch of Airship Pirates. I'll leave you with the latest illustrations for Dead Night as I've been meaning to upload them for a while, they'll appear in the 'Gallery Hall' if I can get it working (my netbook's on the blink, so if stuff goes weird, that's probably why). I'm working on new profile pictures for the Guild too but don't hold your breath, as I'm up to my EARS. Anyway, enjoy, and I shall be back... well, when I'm back. Whatever floats your airship. This is I. I. Laverick, signing out. The lovely people who bring you the Dead Night series. I.I. 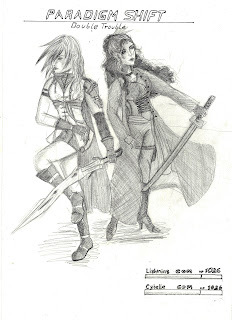 Laverick- Crazy steampunk author who writes and illustrates Dead Night and Legacy of Night! 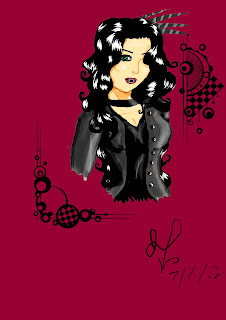 R.K. Webb- Miss Laverick's spectacular friend and co-writer for Legacy of Night, and various other collabs. Writes a fantastic spin off once in a while too! A.T.B. Foster- The editor, formatter, and cover designer for Dead Night, also my one man promotion team and founder of the friendface fanclub! 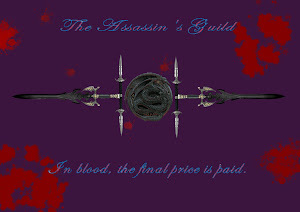 WELCOME from the Assassin's Guild! Welcome, my dear readers! This is the OFFICIAL blog of The Dead Night Saga, and so I should clue you up now on what we're about (in case you want to run away). Alright, well... I am a struggling author who decided to create this blog so that you can read my works for free! (GASP, say it with me, GASP!!!) I'll tell you now that if something gets published, I WILL delete the post, but until then (if ever) it's yours. Also, in case you were wondering about the mysterious deviantART links, some of the characters of Dead Night were based on people I know, and so I decided to give you the chance to learn a bit more. Any of the links will take you to our deviantART group, or to one of the Guild's pages. Have fun with that! Anyway, if you want any more info on me or the books, click the links, videos or pages to see more! Or comment, and I shall answer! Also, please don't get eaten by 'Wolves. Yours, Miss Cybelle Marrie DeHamphir, and the rest of the Guild.